At Affinity Dental Clinic we are committed to providing excellence in Oral Surgery to all patients. A dental implant is an artificial tooth that looks, feels, and acts just like a natural one. Inserted into the space where the root of your original tooth was, it bonds naturally with your jawbone, becoming a permanent part of your mouth. If you have one or more missing teeth, you may want to consider taking advantage of our dental implants to ensure that surrounding gum, bone, and teeth remain strong and healthy. Wisdom teeth can cause considerable pain and discomfort when they get “stuck” under another tooth or impact against it. For most cases our team can gently and precisely remove the offending wisdom tooth, relieving your discomfort. Contact us for further information or to book a consultation appointment! If you get a cavity, lose or chip a tooth or require dentures – we can help. At Affinity Dental we use the latest restorative techniques to ensure that you are getting pain-free dental treatment. 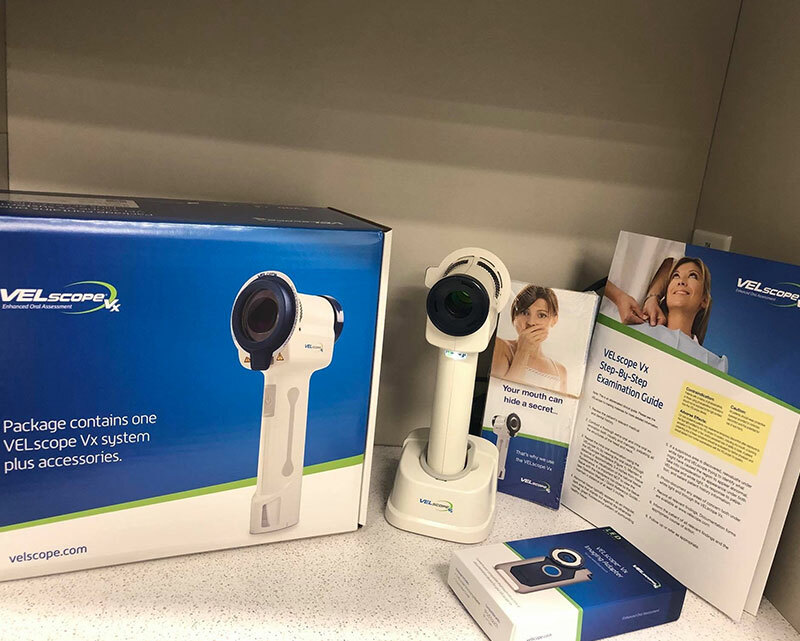 You can rest assured knowing we will always discuss with you the available options, and recommend what we believe to be the most comfortable and least invasive treatment. Providing you with excellent care is our number one priority! We use crowns to cover a tooth to restore it to its normal shape and size, strengthening and improving its appearance. Crowns can be used to seal cracked teeth, to support a large filling when there is not enough of the tooth remaining, to protect weak teeth from fracturing, to restore fractured teeth, or to cover badly shaped or discolored teeth. Contact Affinity Dental to find out which restorative procedure is right for you! At Affinity Dental we use Mercury-Free composite fillings to repair a tooth that is affected by decay, cracks or fractures. 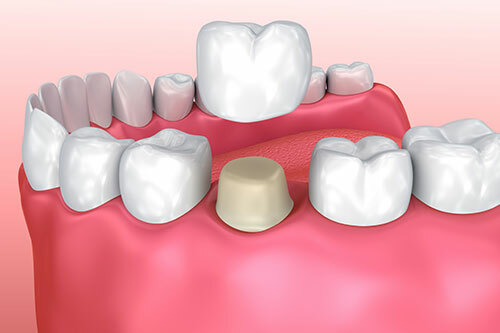 Composite fillings are tooth colored and can be closely matched to the color of existing teeth. They will also last many years, giving you a long lasting, beautiful smile. Contact us to restore your smile to its original perfection. When it comes to dental health, prevention is the key to success. Our team is here to help you maintain optimum oral and overall health. There are two major components to the prevention of cavities, gum disease and other dental problems: home care and professional care. Home care involves regular and correct brushing and flossing. Our hygiene team will help you with your technique to ensure that you’re maximizing your home dental routine. Professional care requires regular visits to Affinity Dental every six months so that our skilled hygienists can gently and comfortably remove plaque using an ultrasonic cleaner. It’s fast, comfortable and incredibly effective. Contact Affinity Dental to set up your personal preventative care program today! At Affinity Dental we do everything in our power to help our patients relax and enjoy the aesthetic and health benefits of our dentistry solutions. If you are a nervous or fearful dental patient we are pleased to offer Oral Sedation in order to make your experience relaxing, pain free and positive. Oral Sedation is an ideal option if you have a sensitive gag reflex, are anxious, or want the option of completing several procedures in one visit. Your Sedation Dentistry appointment will help you feel comfortable while we provide you with a beautiful, healthy new smile. Contact us to book an appointment or for more information about Sedation Dentistry. If you’re missing some or all of your teeth, and bridges or implants are not an option, Affinity Dental can put a smile back on your face by fitting you with a set of comfortable, natural-looking dentures. Dentures are removable replacements for missing teeth which enable you to eat and speak with confidence again! Dentures also make you look younger by lifting your cheek and jaw muscles. Contact Affinity Dental Clinic today for more information about our custom dentures. We have extensive training in root canal therapy for patients experiencing the painful symptoms caused by extensive decay, tooth trauma, or gum disease. 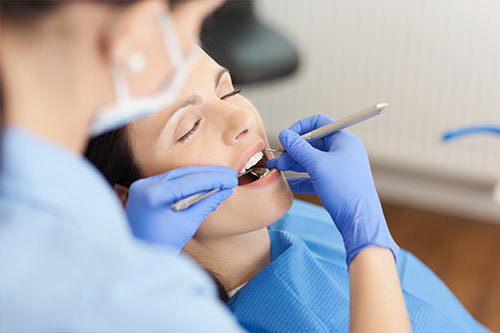 A successful root canal treatment lets you keep your tooth rather than having it removed. Keeping your tooth helps to prevent your other teeth from drifting out of line and causing jaw problems. With our modern dental techniques, root canal treatment can be seen as a convenient and effective way to get you out of pain – not an uncomfortable experience to be anxious about.